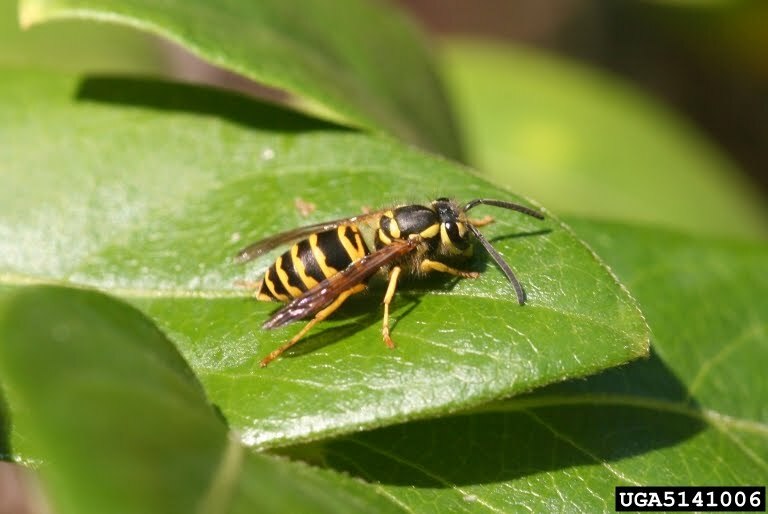 If you’re thinking about removing Yellowjacket wasps yourself, think again; Yellowjackets can be extremely dangerous to remove without the right training and tools. Since 1986, Victoria Pest Control has been the preferred service for wasp control in Victoria, BC. We have the training, expertise and equipment to safely and effectively remove Yellowjacket wasps from your home or business. The most common type of pest wasp in B.C. is the Yellowjacket. This wasp is medium-sized flying insect, 10 mm to 16 mm long, with a distinct head and chewing mouthparts, large eyes and short antennae. The abdomen is banded with yellow and black, and tipped with a stinger. There are three castes, or types, of the insect: queen, worker and male. The Yellowjacket is a social insect which lives in nests or colonies during the summer. During late summer the queen will mate with the male and will then find a sheltered spot to spend the winter. In spring she will find a protected spot to start building a paper nest, and lays her eggs. Hatching wasps will be fed by the queen until there are enough mature workers to take care of the hatching wasps. The wasp nest can become quite large (1,000 to 4,000 wasps) and can be found in protected locations, such as underground, inside hollow trees and in eaves and roofs of houses. Wasps feed off of various insects, dead animals and available human food. Although the wasp is beneficial in nature by controlling other types of insects, it is also considered a pest near homes and people. Wasp nests are dangerous to people when the entrance is close to human activity, or when a nest inside the attic will start to break through into the home. Wasps can be very aggressive when defending their nests. Wasps are difficult to prevent outright. Ensure that cracks and gaps in the eaves and attic of the home are tightly sealed, and screening is fastened securely in place for ventilation holes. 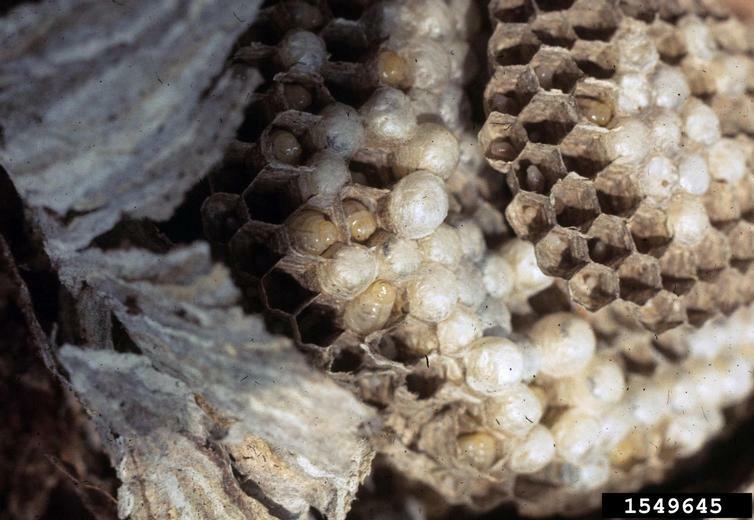 When wasp nests are removed without proper control methods, it is common that surviving wasps will reconstruct the nest in the same location. Removing wasp nests can be very dangerous without the proper training and equipment. A pest professional will quickly remove and control the nests to prevent rebuilding at the same location.